According to legend, Chinese martial artists practiced in their everyday clothing, which included a simple cloth belt to hold up their pants. The belt was white because the Chinese were generally poor and couldn't afford to buy dyed belts. These early fighters took pride in the wear and tear their white belts suffered during the ensuing years of training. 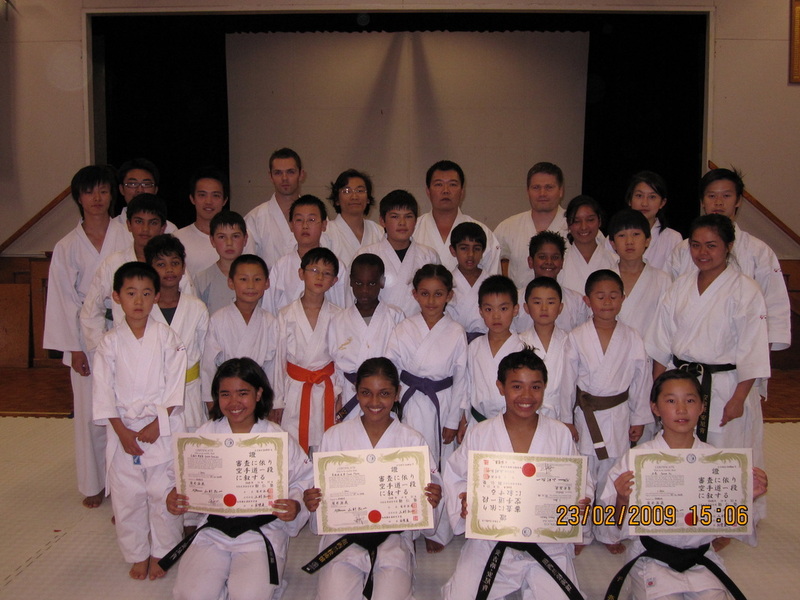 The white belt first turned yellow from sweat. As training became more brutal and incorporated groundwork, the belt turned green. It became an entrenched tradition in many schools for a student not to wash his belt, since it showed the world the time and toil that went into his training. As the years passed, he and his sparring partners bled into their belts, turning them from light green to a dark brown color. Eventually this unwashed belt took on a black appearance. Thus were born the first black belts in the martial arts. In Kenpo, the belt system provides an easy way for a student to measure his progress. Fundamentals such as stances, blocks, kicks, parries, and strikes are taught first. Then, the student starts to learn the self-defense techniques that the art is renowned for. These techniques, which have unique names, combine a series of moves into logical sequences that are used to counter a specific attack. Forms are introduced very early in the system and weapons are taught at the higher levels.